A report by the UN Monitoring Group on Somalia leaked to the Washington Post on November 14 has set off a wave of denials and denunciations from various countries alleged to be fueling the conflict in Somalia. Djibouti, Yemen, Saudi Arabia, Egypt, Libya, Ethiopia, Eritrea, Uganda, Iran, Syria and Lebanon’s Hezbollah are all cited as supplying arms, troops or other military materials to the warring sides in Somalia, which consist of the Transitional Federal Government (TFG) and the coalition of Islamist rebels known as the Islamic Courts Union (ICU). The report also warns of the adoption of Iraq-style tactics by the ICU, including suicide bombers, assassinations and other types of terrorist activities. The Monitoring Group intelligence team responsible for the report consists of a Colombian finance expert, a Kenyan maritime expert and arms experts from Belgium and the United States. Their 86-page document is based on interviews, investigations and information supplied by various embassies in Nairobi. The report accurately describes the leading roles of Ethiopia and Eritrea in arming Somalia’s militias. Ethiopia already has as many as 6,000 troops in Somalia supporting the TFG and has supplied TFG militias with a variety of arms. Eritrea is accused of supplying 2,000 troops and arms to the ICU, including portable surface-to-air missiles. Surprisingly, the report does not even mention allegations (widely accepted as reality within Somalia) that the United States was the chief supplier of arms and cash to the ill-fated “Anti-Terrorist Coalition” of anti-ICU warlords. Eritrea’s information minister suggested a political bias to the document: “We know these statements are coming from Washington” (Gulf News, November 15). Iran is alleged to have sent three payloads of medicine, physicians, ammunition and arms, including surface-to-air missiles, M-79 rocket-launchers, machine guns and landmines. They are also said to have supplied an aircraft to carry 40 wounded Somalis back to Somalia from Lebanon. Iran said such reports were “in line with the wishes of hostile enemies” (IRNA, November 17). Egypt was accused of offering military training to the Somali Islamists. An Egyptian denial expressed “great surprise and anguish” at the report, saying that it was prepared by “Western experts whose political affiliations are not known” (Associated Press, November 17). Egypt is deeply involved in diplomatic efforts to avert war in the Horn region. The report also described Libyan arms supplies to the ICU, training for 100 fighters and financial aid. A Libyan Foreign Ministry spokesman described the allegations as “incredible” (Reuters, November 17). Syria has also denied sending an air shipment of arms to the ICU. Uganda was said to have provided military materials and an unspecified number of soldiers in support of the TFG. Ugandan Defense Minister Chrispus Kiyonga announced that Uganda will complain to the United Nations over the report, describing it as “trash” (Reuters, November 17). 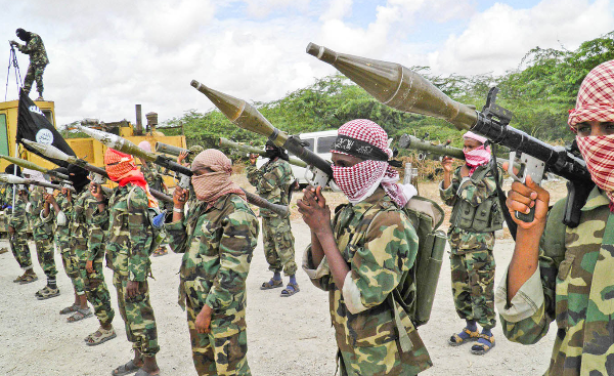 The most startling revelation in the report deals with 720 Somali fighters who are alleged to have traveled to Lebanon to join the fighting against the Israeli Defense Forces (IDF) last July. There were no reports from the IDF during or after the war regarding any “Africans” observed, captured or killed in the fighting. UN observers and journalists also failed to mention Somali fighters. In exchange for the fighters, Hezbollah is said to have shipped arms to Somalia and arranged for further supplies from Syria and Iran. The fighters were allegedly chosen by Adan Hashi Ayro, the right-hand man to ICU leader Sheikh Hassan Dahir Aweys. Presumably, they were from Ayro’s own command, as it is hard to see him being able to separate another coalition leader from his fighters in the middle of an intensifying conflict. With an estimated 2,000 to 3,000 trained fighters in the ICU, the decision to send fighters to Lebanon would have stripped the Somali Islamists of nearly a third of their best men. Hezbollah did not even commit its reserves during the fighting with Israel, yet according to the report, Hezbollah shipped arms, which it needed in the middle of a war, to Somalia in exchange for foreign fighters that it did not need. According to the UN document, 600 Somali fighters remained in Lebanon and Syria for further training, while five Hezbollah military advisers went to Somalia to help the ICU. A Hezbollah representative described the allegations as “incorrect and silly” (Daily Star [Beirut], November 16). After several days of silence on the matter, Israel’s ambassador to the UN, Dan Gillerman, issued a surprising statement claiming that Israel “had been aware” of 700 Somali fighters in Lebanon (Israel Insider, November 18). Hezbollah’s effectiveness is in large part due to its own security and intelligence network, based on intimate knowledge of its members. While Palestinian movements are riddled with informers, Israeli intelligence has had great difficulty penetrating Hezbollah. It is unlikely that Hezbollah would attempt to integrate 700 unknown Somalis in the midst of military operations against Israel. One of the report’s additional surprising claims concerns Iranian attempts to secure Somali uranium in exchange for arms. Somalia is estimated to have 6,600 tons of recoverable uranium, which is difficult and expensive to extract. In 1984, a Brazilian/Somali joint venture attempted to develop the Somali uranium resources, but the effort collapsed due to financial and logistical problems. There have been no mining activities since as a result of ongoing security difficulties and high recovery costs that would make operations in Somalia uneconomical. Iran has opened 10 uranium mines since 1988. Proven reserves total about 3,000 tons, a sufficient amount to fuel Iran’s nuclear program. ICU Deputy Security Chief Sheikh Mukhtar Robow Abu-Mansur described the report as “a matter of laughing,” suggesting that the ICU would be quite rich if it were actually in the uranium business. The sheikh added: “How can we receive arms from Arab countries while American warships patrol the Somali coastline and the planes landing [in Somalia] are also under tight surveillance?” (Garowe Online, November 16). ICU leader Sheikh Aweys warned that the United Nations risked losing its legitimacy by issuing “baseless propaganda” (Shabelle Media Network, November 16). The report’s claims are remarkably similar to accusations that appeared in the U.S. National Intelligence Estimates of September 2002, during the build-up to the U.S. invasion of Iraq. The UN report mixes legitimate concerns about arms supplies to both sides of Somalia’s latest incarnation of its civil war with recycled allegations from the campaign against Saddam Hussein and what can only be regarded as politically manipulated “intelligence,” creating a vast international conspiracy between unlikely partners. The failure of the report to even examine information of U.S. support to the failed “Anti-Terrorist Coalition” is a major blow to its authority. Its suggestion that Iran might find a source of uranium for its nuclear program in Somalia appears outlandish under present conditions. Much of the material simply reiterates unsupported allegations involving Iran, Egypt and Libya issued by TFG Prime Minister Ali Muhammad Gedi in July. Most surprising is the ease with which so many countries were apparently able to transport arms and men back and forth without interference from the U.S. naval force off Somalia and last summer’s air and sea blockade of Lebanon by Israel. A closed-door discussion by the Somali sanctions committee on November 21 will decide whether to send the report to the UN Security Council for further consideration. Three months after the end of the Israeli/Hezbollah war, there is growing tension between Hezbollah and the “March 14” anti-Syrian political coalition that dominates the Lebanese government. In an October 31 interview with al-Manar TV and al-Nur Radio (Hezbollah-owned media sources), Hezbollah leader Sheikh Hassan Nasrallah offered his perspective on the current political and security situations. Nasrallah notes the inactivity of the Lebanese Army in disarming Hezbollah. The army is what the sheikh describes as a “national [wataniyah] institution…Consequently, the Lebanese Army moves only in the area indicated by the army commander…the area of consensual national will.” The comments suggest that the Hezbollah leadership is satisfied with the army’s restraint on disarmament in defiance of the wishes of the Lebanese government. Nasrallah even claims it was Hezbollah and Shiite political party Amal (led by Parliamentary Speaker Nabih Berri) that requested the presence of the Lebanese Army and a beefed-up United Nations Interim Force in Lebanon (UNIFIL) in southern Lebanon. Despite warnings from UNIFIL’s French commander that French forces might fire on Israeli overflights of Lebanon made in violation of the cease-fire agreement, the Israeli Air Force continues to fly unopposed over Lebanon. According to Deputy Minister of Defense Efraim Sneh, Israel’s “reconnaissance flights” will continue until the two Israeli soldiers are released and Israel receives confirmation that arms shipments from Syria have ceased (Zaman.com, November 2). There is no doubt that the sonic booms of Israeli warplanes over Beirut are meant to provide a political message to Lebanon’s leaders as well as intelligence for Israel’s military. Throughout the interview, Sheikh Nasrallah stressed the role of Hezbollah as a nationalist rather than a sectarian movement, capitalizing on the inter-faith solidarity that developed in some (but not all) quarters during the weeks of Israeli air and ground attacks. “What difference is there between me and the Sunnis in order to raise the issue of sectarianism? How do I, as a Muslim, differ from the Christian who cares for the oppressed people and for the Church of the Holy Sepulcher in the same way as [a Muslim] cares for the al-Aqsa Mosque? He also wants Lebanon to be strong, independent, master of itself and free.” Nasrallah’s suggestion that the March 14 alliance is still trying to transform UNIFIL to a non-UN multinational occupation force usefully places Hezbollah at the forefront of the Lebanese struggle for independence and self-determination. Hezbollah’s armed wing is described as “a resistance, not a militia,” in other words, a national element serving the defense of Lebanon from external aggression. While the Lebanese Army has the courage and will to resist aggression, “it does not have the required facilities, the required tanks and the needed anti-armor missiles, nor does it have anti-aircraft missiles.” Aside from tanks, Hezbollah has all these weapons in abundance. Nasrallah’s opponents in the March 14 alliance continue to assert that Hezbollah is nothing but a tool of Syrian regional ambitions. 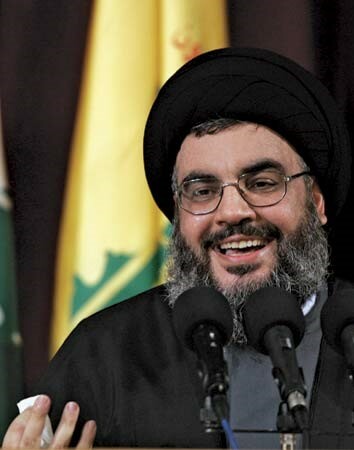 Nasrallah, of course, has no desire to see any kind of international military force deploy along the Syrian-Lebanese border, where Syrian and Iranian military supplies continue to flow to Hezbollah with little hindrance from the Lebanese Army. At present, there are no signs that UNIFIL or the Lebanese Army will attempt to disarm Hezbollah under the conditions of UN Security Council Resolution 1701. Sheikh Nasrallah refutes claims that Hezbollah and its Amal and Christian allies seek to mount a coup against the present regime: “In matters of blood, we are at the forefront. In matters of power, we do not seek authority.” Greater representation for the Shiites in the Lebanon government is nevertheless inevitable, given their military strength, growing numbers and organizational skills. This article first appeared in the November 15, 2006 issue of the Jamestown Foundation’s Terrorism Focus.